“Brave New World”: A Fantasy Rediscovered. Leonardo DiCaprio will star in "Brave New World"
Director Ridley Scott has finally, after a legal wrangle that extended over several years, obtained the film rights to Aldous Huxley’s novel “Brave New World”, written in 1932. Scott’s interest in this project goes back several years, possibly because the dystopian society he portrayed in “Blade Runner” was not dissimilar to the world portrayed in Huxley’s book. But there were major legal obstacles in his path. After Huxley died of cancer in 1963 his will revealed an unusual bequest. His estate was left to his wife Laura, and he also left her 80% of any royalties that derived from his novels and scripts. He left the remaining 20 % to Matthew, his son from a previous marriage. That bequest caused a lot of family friction. Relatives considered that Matthew had been treated poorly and when Matthew died, the bequest was passed on to his two children Trevenen and Tessa. Huxley’s wife Laura, however, was blessed with a long life. She continued to keep an open house, a salon where Hollywood’s intelligentsia could meet and interact. One of the frequent guests was George DiCaprio, an artist who had a young son called Leonardo, who often accompanied his dad to these elegant soirees. Living in Hollywood, Laura Huxley was keen that a film should be made of her husband’s most famous and influential novel. However, the unhappiness over the terms of the will prevented that. While Laura owned 80% of the royalties, Huxley’s children from his first marriage held the other 20% which gave them "termination" rights, the ability to veto any film, play or TV production based on Huxley’s novels. It was a stalemate that lasted until Laura Huxley died aged 96, in December 2007. Her control of the royalties lapsed and the Huxley family’s literary agent, Georges Borchardt, negotiated a fresh, but undisclosed royalty deal with the younger Huxley family members, clearing the way for the movie and for many other new developments around Huxley’s work. It is now likely that Huxley is about to be rediscovered by a new generation and a major film based on his most famous book will certainly throw a powerful spotlight on his other work. 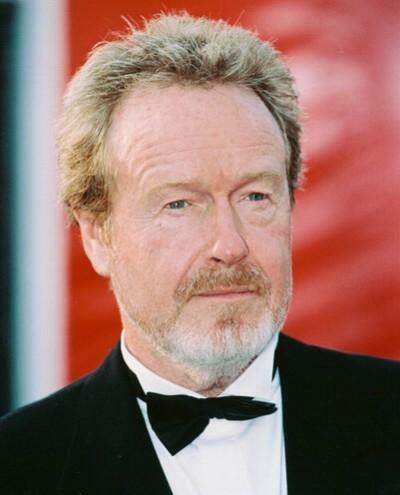 At that time Ridley Scott was working on his new movie, “Body of Lies” with Leo DiCaprio in the lead role. He heard about Leo’s visits to the Huxley mansion to play with the children and of George DiCaprio’s friendship with Laura Huxley and from that strange synergy the “Brave New World” movie project evolved. The question is whether a futuristic satire written in 1936 could possibly speak to a 21st century audience.